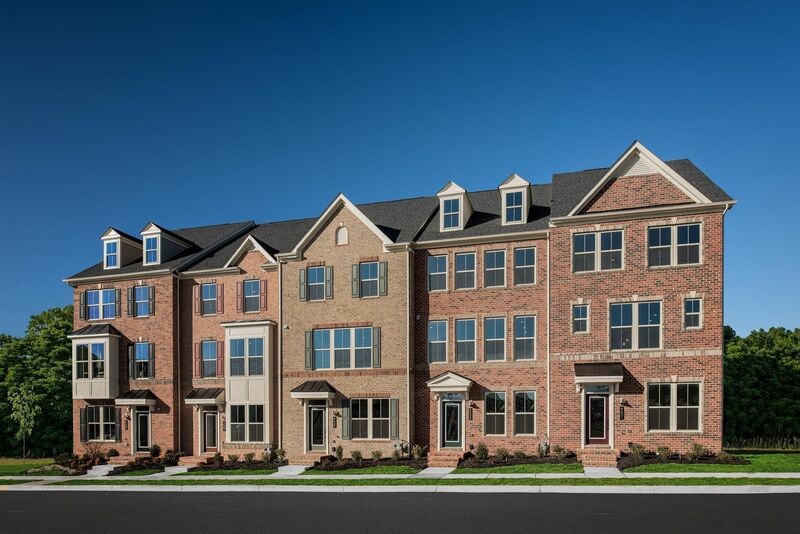 Tired of all the traditional, dated townhome options in Frederick County? We get it. The ordinary simply won’t do. Introducing our collection ofExecutive Townes at Landsdale, a boutique enclave of modern residences designed to elevate your every day. Be greeted by a stately exterior, comprised of handsome brick, generous window sizes, and fine architectural details such as bay windows, dormers, and updated doors & shutters. Inside, the entertainment possibilities are endless. Our city-style Townes offer over 2,200 sq. ft. of luxury living, 3+ bedrooms, 2+ full baths, 2+ half baths, and much more. Live large in an open concept main level, with hardwood flooring, Chef’s kitchen, and the area’s most unique outdoor living feature – the SkyLanai – covered porch right off the living room! Finally, dining al fresco is possible any time of year. The lower level rec room would double perfectly as a large study. You could even add an optional fourth level for more space or storage! Life at Landsdale is one of pure ease and convenience. Step out amongst the community’s tree-lined sidewalks and take a stroll to the 6,000 sq. ft. clubhouse, complete with pool and tennis. Or make a quick stop at one of Urbana’s many restaurants and shops. You could be in downtown Frederick in just 20 minutes or the heart of Baltimore in just 45. Traveling down I-270 to Metro? The area offers numerous access points to get you on your way quickly. Our residences at Landsdale offer truly uncompromised living with all the modern detail you expect.Schedule a visit today!